RockChickenz: YOUNG GUNS return with new single "Bulletproof"
Electrifying UK act, Young Guns arrive today with their new single, "Bulletproof," premiering exclusively on Alternative Press. The track, the first taste of their new album due late Summer 2016, is an energetic summer anthem with a call-to-arms chorus that is impossible to ignore. Having emerged as one of the UK's most electrifying new bands in the last few years, Young Guns have garnered heavy radio play and both US and UK chart success, attracting critical acclaim from esteemed tastemakers in their home country, like Kerrang and BBC Radio 1, while drawing attention from US outlets like Alternative Press, Billboard, Entertainment Weekly, Red Bull and more. After a year spent touring back and forth between the United Kingdom and United States, Young Guns kept busy in 2015 with the release of their record, "Ones and Zeros", playing to packed out venues worldwide. 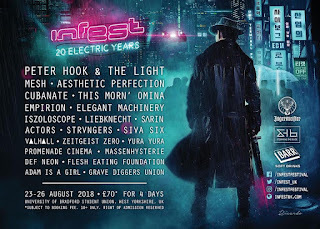 The band picked up support slots with acts like Three Days Grace, Black Stone Cherry and Breaking Benjamin - not to mention doing the rounds on the US festival circuit, appearing at Rock On The Range, Carolina Rebellion and more. Once their summer in the States came to a close, they returned to the UK where they had a moment to work on new music and take some time to reflect on what was next for the band. During this period, there were changes in the Young Guns camp and eventually, the five-piece re-emerged as a four-piece, announcing they had amicably parted ways with their drummer, Ben. In a statement on their socials, the band said, "We have always been friends before band-mates and that will never change - our paths are simply headed in different directions and we agreed on this being the best thing to do for all of us. We wish him all the best. We can't wait for this new chapter to begin and we are more excited and focussed than we've ever been before. We're back. See you on the road!" 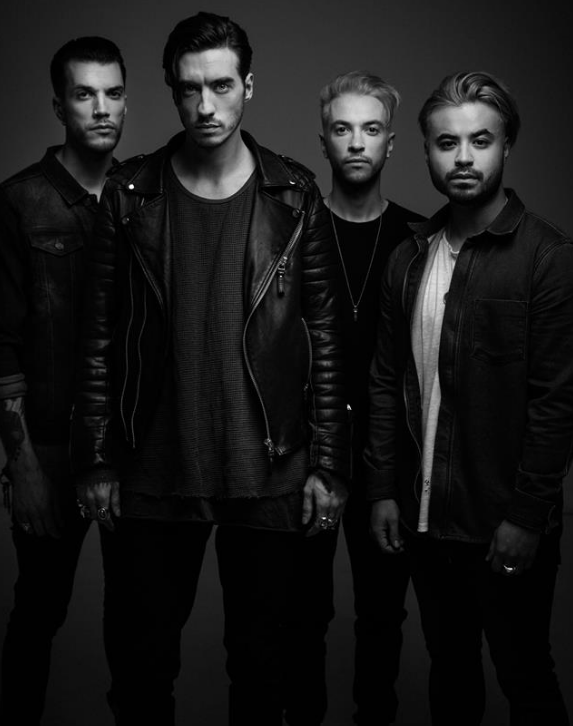 Young Guns will make their return to the States this Summer, appearing on the Vans Warped Tour. Starting off in Dallas and appearing on all 40 dates across the country, the UK boys are excited to bring their electric live show back to fans - you might even hear a new song or two. Their forthcoming album is slated for release in August of 2016, and was recorded with David Bendeth (Paramore, Bring Me The Horizon, Breaking Benjamin).